On the central portion of Patmos, the “Kastelli” (acropolis) towers over the main harbor at an altitude of 1,550 ft. [472 m.]. 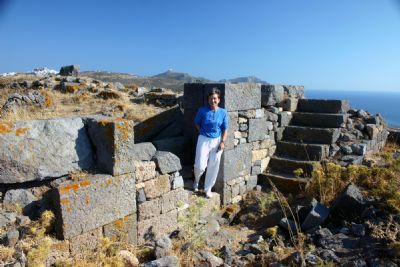 Evidently a temple of Apollo was located here along with fortifications that date back to the Hellenistic Period (third century B.C.). For a map locating Patmos and Introductory Commentary Click Here.